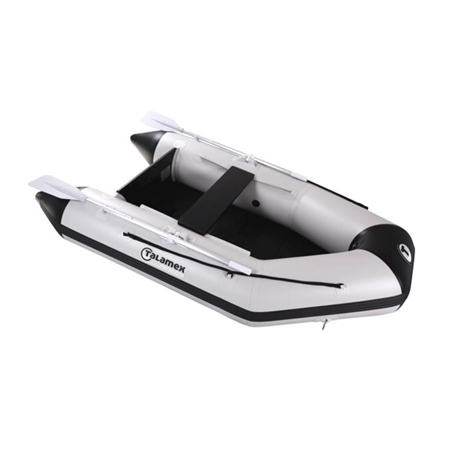 The Talamex Aqualine QLS with the slatted floor is a boat without an inflatable keel. The boat is quickly ready to go and can be packed conveniently. Thanks to the slatted floor, the boat is easy to roll up and light in weight making launching very easy. Comes with a standard 30L dry bag. Due to the weight of this item, it must be delivered by a pallet on the UK mainland. If you have any queries regarding delivery, please contact us on 01463 229 400.